Jamraya or Jemraya is a village in the Qudsaya District of Rif Dimashq (Damascus Countryside) in southern Syria. It lies 3 miles (5 km) to the northwest of the Syrian capital of Damascus city, beyond Mount Qasioun, and is now an outlying suburb of greater Damascus. It is between al-Hamah and Qudsaya town to the south, and Ashrafiyat al-Wadi to the north. It is about 10 miles (15 km) from the Lebanese border. The area is home to some of the most important strategic military bases in the country. The Presidential Guard's 105th and 4th brigades - the latter headed by Maher al-Assad, the president's brother - are located around Jamraya. The highest profile research centre in Syria, it is the workplace of many of the country's top scientists. It is one of Syria's most secretive institutions, with employees banned from communicating with foreign nationals. 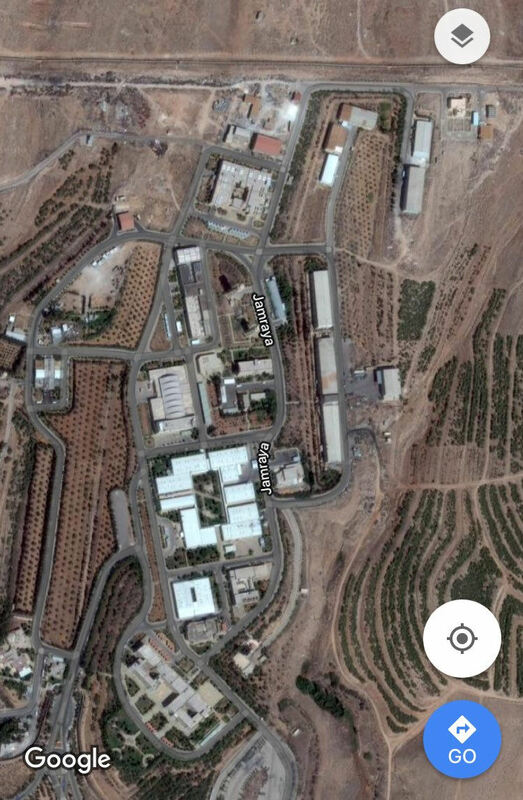 The Jamraya Research and Information Center, a "scientific military facility" in the suburb northwest of Damascus is known to Western intelligence agencies as a Syrian military complex where the Assad regime has developed missiles, rockets and apparently also non-conventional weapons. 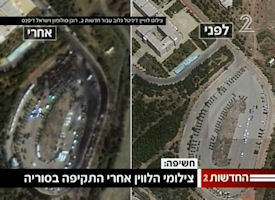 Israeli media reported that satellite images that documented the Syrian facility before and after the 30 January 2012 bombardment attributed to Israel proved that the purpose of the bombing was the convoy of heavy tools that stood in the parking lot and led to anti-aircraft missilles. The Syrians continued to claim that this is an innocent research institute, and in the pictures taken four days ago, after the bombardment, the parking lot of the place was seen burning and almost charred. Meaning - all the vehicles that were there were destroyed or damaged. According to reports by the foreign media, among the heavy equipment at the site was also a battery of advanced SA-17 missiles. Digital Globe satellite imagery, broadcast by Channel 2, show a smoke-blackened parking lot outside the Jamraya scientific research facility that, in images published on Google Earth before the bombing, was not charred. The satellite photographs depict a single bomb that missed its target and struck slightly north of the field, but the overall picture shows a significant damage level that probably resulted in fire and explosions in the area. The damage was visible only in the convoy that had been set up in the parking lot. According to the pictures and contrary to the Syrian claims, there was no damage to the buildings at all. 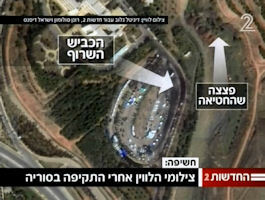 According to the analysis of the pictures, the intention was to damage only the antiaircraft missile battery in the area. Israel struck Assad regime targets near Damascus on 05 February 2018, the Syrian military said. 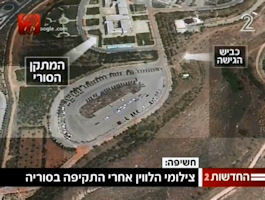 Syrian state media said that Syrian air defenses had responded to what it described as "a new Israeli aggression" in the countryside around the Syrian capital. 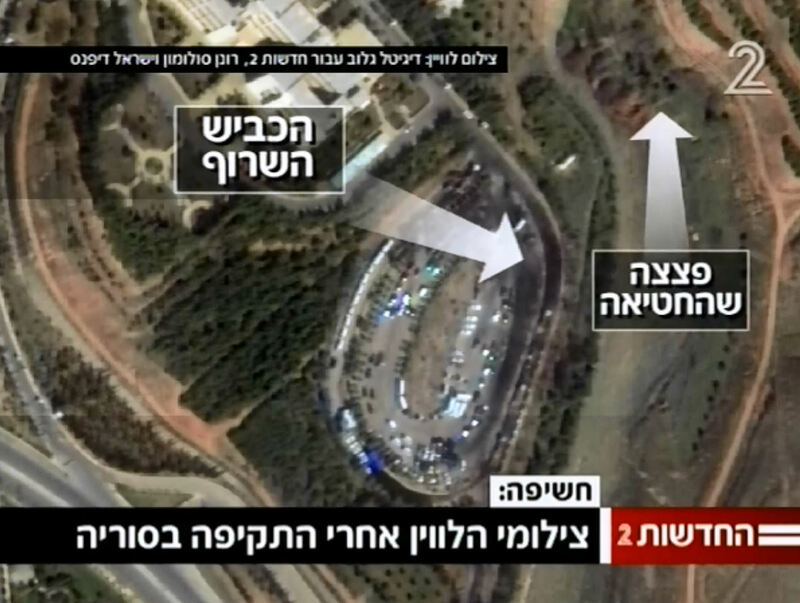 The Syrian military claimed that Israeli jets came through Lebanese airspace before striking, adding that air defenses intercepted most of the missiles fired. 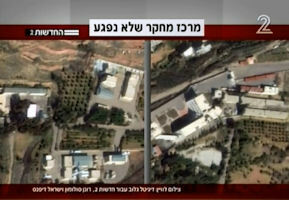 Sources close to the Syrian government said Israeli missiles had targeted a "research center" in the town of Jamraya, just north of Damascus.